This dish just sounded so appealing to me. I love casseroles but the fat content is always high in these types of dishes because the main ingredient is often a creamy sauce that is made from scratch or from a soup. I think I would take the Parmesan cheese over a creamy sauce any day. But, I learned something new for myself today. Parmesan cheese has a higher fat content than mozzarella cheese. I always thought it was the other way around. The house smelled like an Italian restaurant with the amount of garlic I put in the dish. 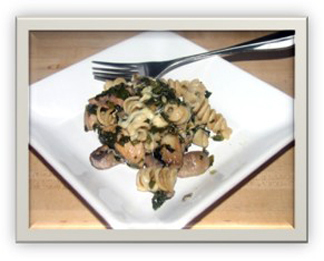 Full of flavor and there were also some benefits of fiber from the whole wheat pasta, mushroom and spinach. Prepare the whole wheat pasta according to the directions on the package. Drain liquid and set aside. Sauté the cubed chicken tenderloins for about 10 minutes until browned in olive oil over medium heat in a 10” skillet. Add the garlic and cook for about 3 to 5 minutes. The garlic will brown with the chicken. Stir constantly so the garlic does not burn. Note: If the garlic burns in the dish, it gives a bitter flavor to the whole thing and does not taste great. 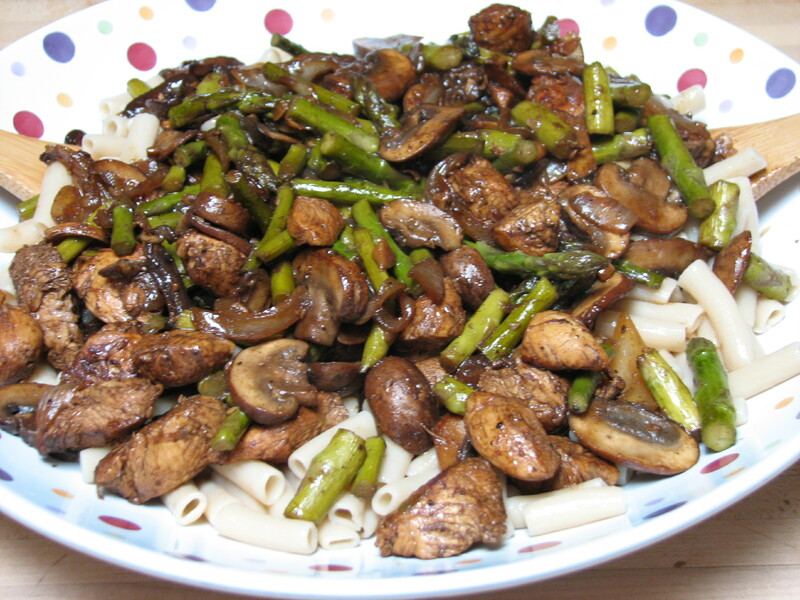 Add the sliced mushrooms and cook for an additional 5 minutes stirring constantly. Add the spinach, wine and cook until the spinach is heated thoroughly and the wine is cooked off. Add 1 cup of grated Parmesan Cheese to the mixture, mix well. I used about 3/4 of the 1 lb pasta that I cooked. I felt that adding the whole 1 pound of pasta was too much. Mix the pasta in the filling. 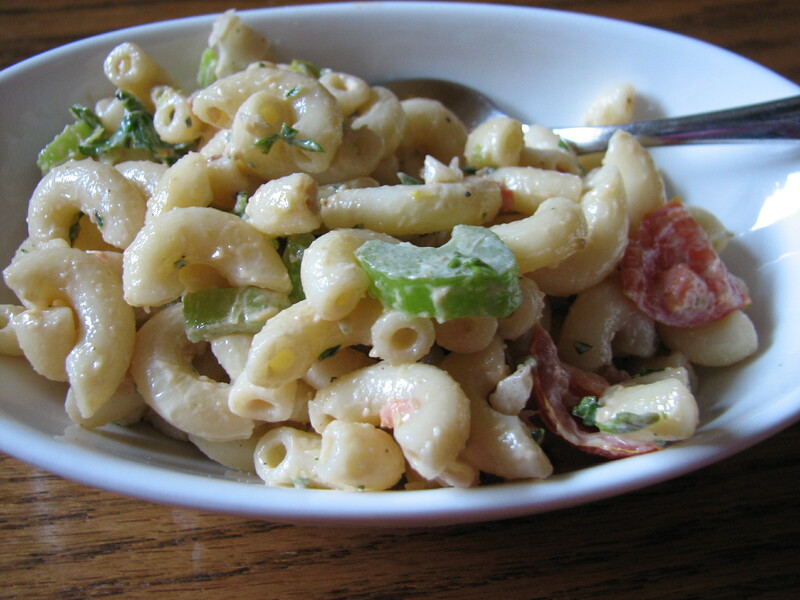 In a casserole dish, even out the filling and sprinkle with the remaining Parmesan Cheese. Bake in a 350 degree oven for about 15 to 20 minutes until dish is thoroughly heated and the cheese is melted. I wasn’t satisfied with the color so I flash broiled the dish in the broiler for about 5 minutes to give the cheese the golden color I wanted. Today is a snowy-cloudy-gloomy day here in Michigan and I was getting sick of making soup so I decided to do a quick stir-fry for dinner. 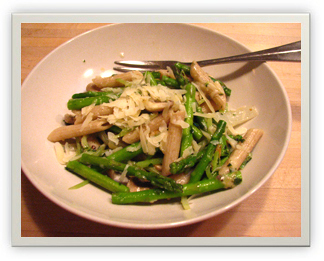 The thoughts of cutting up and sautéing fresh green vegetables and adding left-over whole-grain penne pasta with freshly grated Parmesan cheese appealed to my mood thus creating the simply healthy version of “The Happy Meal”. Enjoy! 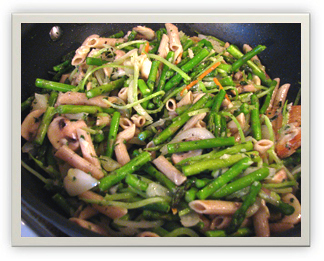 Clean and cut up all the fresh vegetables as the sautéing part will go very fast. 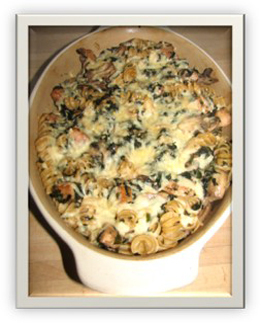 Remember the pasta was already cooked; it was a left over from another meal. 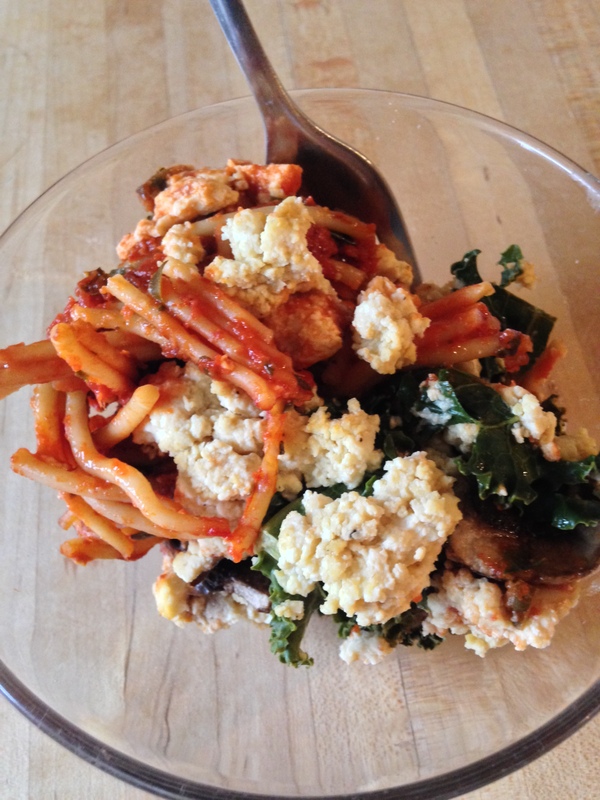 If you do not have pasta or rice cooked make sure you start that process first and have it ready for your meal. In a wok or stir fry pan, heat up the olive oil in high heat, this will heat up very fast so you will need to be ready. Add the onion, sauté for 2 minutes, and then add rest of the vegetables. Saute the vegetables to the desired consistency. I happen to like my veggies crunchy with a burst of freshness, so I sauté the vegetables for approximately 5 to 10 minutes. Add the pasta as the final ingredient. 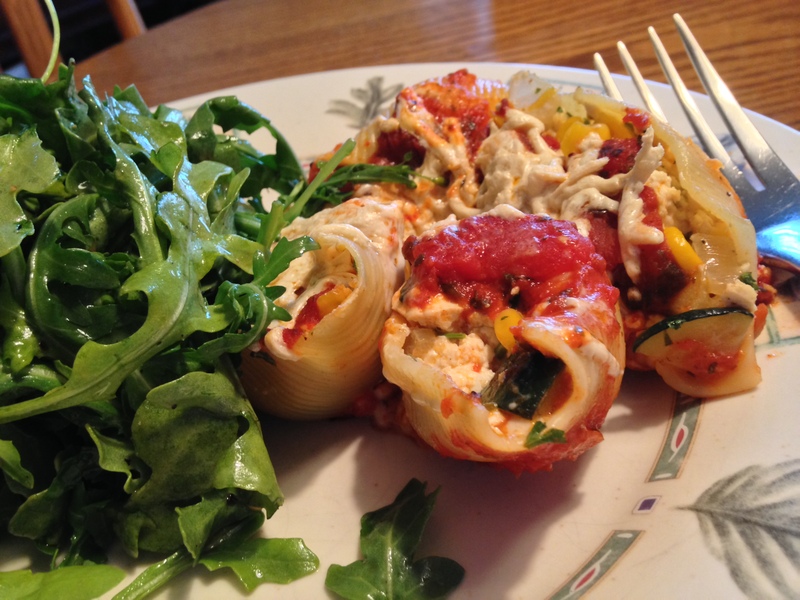 Remove from heat and stir in ½ cup of the grated Parmesan cheese. 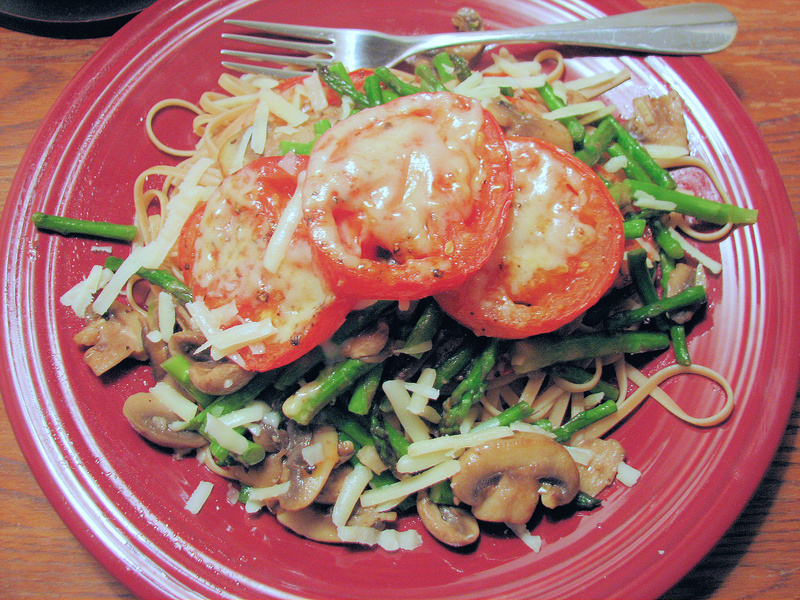 Serve in individual bowls with sprinkled Parmesan cheese on top. Be happy!